Providing you the best range of concrete mix automation controller, compact weighing controller, admix and water dispense controller, cube testing machine controller, multi channel weight controller and weighing controller with effective & timely delivery. 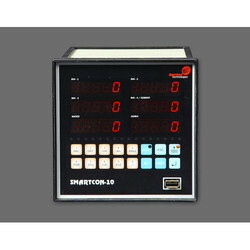 We are offering Concrete Mix Automation Controller. Genius - the most versatile, configurable concrete mix automation controller is the flagship controller model of Sprint. Genius consists of eight inbuilt weighing channels, 2 inbuilt flow controller, 8 LED display windows, two line LCD display, 16 keys, 24 IO etc. The controller is loaded with strong software which takes care of complete auto operation of the plant irrespective of its design. 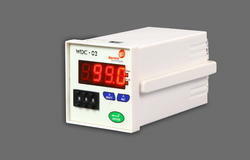 We are offering Compact Weighing Controller. 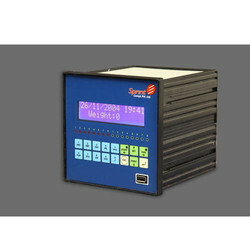 It is a weigh controller with 2 fill output for material dosing and one output for material discharge. It also comes with 2 input to connect remote switch for cycle start and hold operation. Little Sprint can communicate with any external device like PLC thru RS 485. It is designed to work in tough environment like construction site etc. 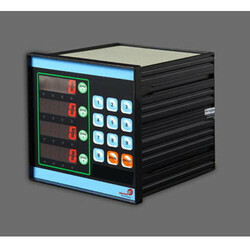 We are offering Admix and Water Dispense Controller. It is designed to deliver water/admix in correct quantity required for any process. No sensor is required as it works on time based calculation. It is specially designed to work in tough environment like construction site. 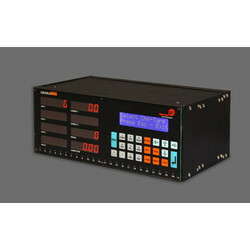 With our years of experience & in-depth knowledge in this field, we are engaged in offering a quality-assured array Cube Testing Machine Controller. 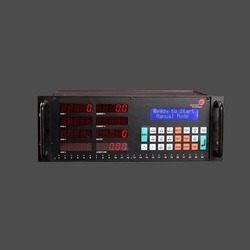 We are offering Multi Channel Weight Controller. It is used to control weighing quantity up to four material. 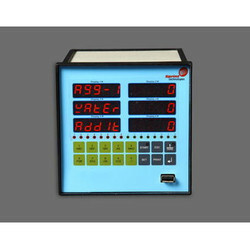 We are offering Weighing Controller. 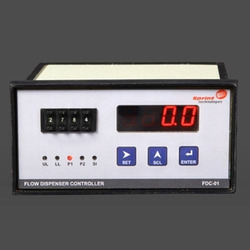 We are offering Flow Dispenser Controller. FDC 01 is designed to deliver water in correct quantity required for any process. It can work with any standard insertion type sensor. It is specially designed to work in tough environment like construction site etc. Thumb wheel switch to enter set point by even a lay man. We are offering Batching Controller. 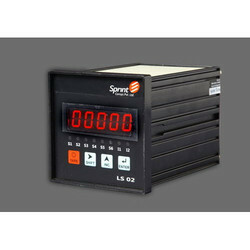 We are offering Batch Weight Controller. The Smartcon is a compact four channel weigh batch controller with two inbuilt flow meter specially designed for concrete mix application. The controller comes with 6 LED windows to indicate aggregate, cement, water and admix weights. It comes with facilities like Multi cycle auto batching operation, programmable recipes, data logging, data download in USB pen drive, report printing thru 2inch thermal printer as well as with 80 column dot matrix printer and many more.